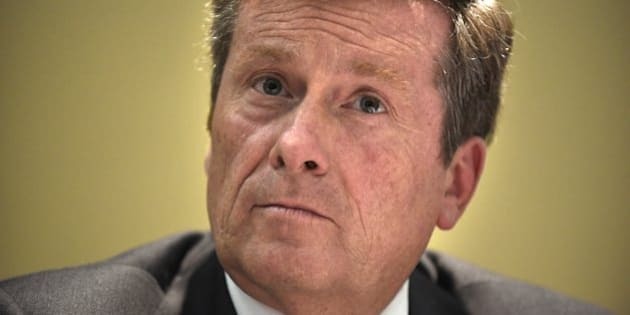 In a world, where reasonable black outrage and passion, is still viewed as militant and fringe, none of these voices mattered for John Tory since he became mayor last year. It is just unfortunate it took four years for the black community to be listened to and mere days for the "other" voice. As the debate on carding is all but settled, Toronto had several community champions who helped turn the tide and we should all be thankful. Desmond Cole has been an eloquent and reasonable voice when it comes to the issue of carding. Andray Domise deserves a medal for keeping the issue alive via social media, even when it seems, it came, at a personal political cost. Idil Burale brought an exceptional voice and wise reasons why the issue of carding is wrong. Anthony Morgan is a giant and an important voice of his generation. He continues to bring substance and intelligence to the discussion of carding and I am proud to know him. Audrey Campbell, the civilian co-chair of PACER, has shown passion and she is a role model for those who would want to emulate such a powerful activist role in our society. I wish Mark Warner was successful being elected an MP in 2007 -- I hope his important and smart perspectives on important public issues found a place in our House of Commons. Royson James, Patty Winsa and Jim Rankin from the Toronto Star are heroes and reflect the better principles of John Atkinson. Groups such as Black Lives Matter Toronto and NEPV and many others -- thank you. In a world, where reasonable black outrage and passion, is still viewed as militant and fringe, none of these voices mattered for John Tory since he became mayor last year. Since taking over the mayoralty, he has championed and endorsed carding -- envisioning a second class citizenship to those who do not share his skin complexion. Defiant of the black communities' outrage, he had called the practice, as "the only way forward after an eight-month stalemate". Former Ontario Cabinet Minister, Mary Anne Chambers, was even asked, "Why only black people seemed opposed to the controversial policing practice." Are the concerns of people who look like me less important? Last Wednesday, the mostly non-black voice -- Gordon Cressy, Roy McMurtry, Barbara Hall, David Crombie, and John Sewell -- spoke and John Tory listened and acted swiftly. They called carding something that reflects, "anger, hurt and unrest" rather than any benefits to society. In four days, the champion of the values of carding, Toronto's 65th mayor, went from being its most prominent supporter to calling it "illegitimate and disrespectful." He added, how "it has "eroded the public trust." Which public? The white or the black community? Should it even matter? Apparently, it does. To the new Toronto Police Chief, Mark Saunders, who once claimed that "crime would increase if the controversial practice halts" -- the sudden change of heart from the mayor was an obvious shock as witnessed on CBC's Morning Show this morning. He sounded clueless and unprofessional -- the way Jean Chrétien, as Canada's first Francophone Finance Minister, was to Pierre Trudeau a holder of title without much contribution in the construction of rules and policies. As the first Toronto black police chief, I wonder if his milestone is in name only. How could any smart black person defend a practice that hurts people of color? At the end, Gordon Cressy, the architect of the press conference, reflected how Tory's change of heart was a "good start toward accomplishing the goal" and that "It's a good beginning in the long fight for justice," and "the mayor listened." It is just unfortunate it took four years for the black community to be listened to and mere days for the "other" voice. To John Tory, who was once asked if white privilege exists and he responded -- "White privilege? No, I don't know that it does." -- let this be a lesson learned, to him and others, that white privilege does indeed exist in our society.